We can design, supply and install fire alarm systems throughout High Wycombe, Maidenhead and the local region. 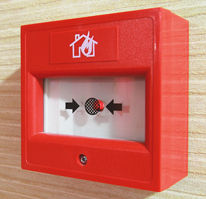 Our expert team have fitted fire alarms in a variety of properties for a wide range of customers, and work extensively with commercial and industrial clients from across the local area. Imagine the destruction that a fire could potentially cause at your property. You might have already invested in systems such as CCTV to enhance security at your premises, but without a reliable and well-maintained fire alarm installation, your building will remain at risk. As a BAFE approved company, you can rest assured that your premises are in safe hands when you invest in a fire alarm from Haden Fire & Security. Our engineers are also fully up to date with all relevant FIA training courses, and have the expertise required to maintain the highest standards in fire detection and protection. We provide alarm monitoring where required to link your fire alarm system to a central monitoring station, as well as regular maintenance to ensure that your system remains in the very best condition. Our fire alarm servicing and maintenance contracts are designed to offer a cost-effective way to keep your alarm system working efficiently. To learn more about the fire alarm systems that we can supply, or to talk to our alarm installers directly, contact us now on 01494 525183.